For sea-faring visitors and yachting enthusiasts alike, there are plenty of opportunities to experience a heart-thumping good time out on Saint Lucia’s waters. 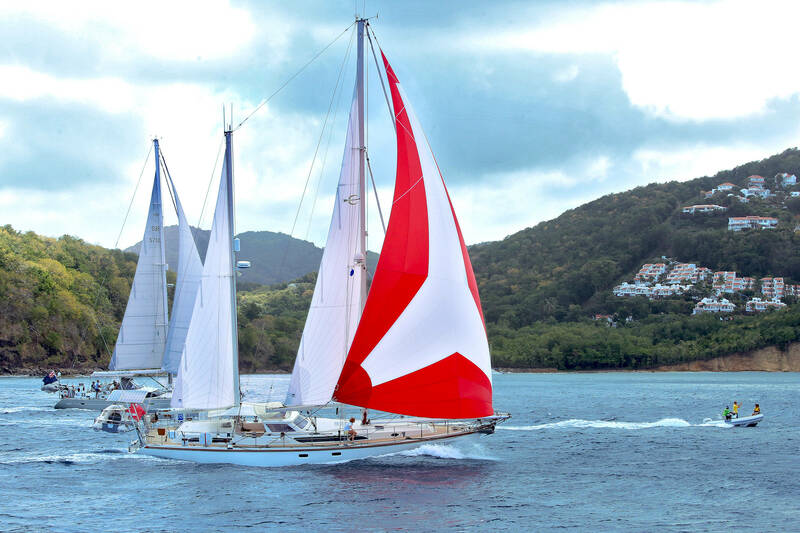 Head out into the open waters and experience the thrills that Saint Lucia offers her visitors. Let her inspire you. Strap yourself into a fighting chair and get ready to battle one of the largest sportfish in the Caribbean. Take part in Saint Lucia’s International Billfish Tournament to test your angling skills with the best. The island is home to many active areas of billfish, and finding a hot spot is all a part of the fun. Dozens of international boats crewed by hundreds of anglers take part in this tournament every year. The catch-and-release tournament is a favorite among seasoned sport-fishers because of the quality of the competition and the challenges that Saint Lucia’s teeming waters provide. The event has run for more than 25 years, and it is a qualifier for the Offshore World Championships. Organized by World Cruising Club, the Atlantic Rally for Cruisers (ARC) is the largest trans-ocean sailing event in the world and regularly attracts upwards of 200 boats of many shapes and sizes. The journey takes between two to three weeks aided by trade winds and covers more than 2,700 nautical miles. ARC participants will also enjoy a wide variety of food, drink and souvenirs. The activities are designed for both ARC participants and locals alike to come together and to ensure that they always remember their stay on Saint Lucia. Inject your relaxing vacation in Saint Lucia with a dose of competitive adrenaline. The Saint Lucia Yacht Club hosts the Mango Bowl Regatta every year, which welcomes sailors from around the world. It includes four classes of race: Racing, J24/Surprise, Cruising I and Cruising II. It’s great sailing with great friends for great fun.